Every year I plan a "house cocktail" for the holidays. I make a big pitcher of it in advance and then just shake off the individual cocktails with ice as guests arrive. Since I'm a big believer in making as much ahead as possible so I can enjoy actually spending time with friends and relatives, it makes sense to do the same with the drinks. For the past few years, pumpkin based cocktails were the house special but I decided to keep the pumpkin for dessert this year and go with a chocolate flavor for the drink. I first tasted Chila 'Orchata's cinnamon cream rum a few years ago and it's been a keeper in my collection ever since. It's just the right amount of cream, flavor and kick. So this year, it was the starting base for my house cocktail. I wanted to make it special with a caramel rimmed glass and, since it's needs to set up anyway, it's perfect for making in advance. 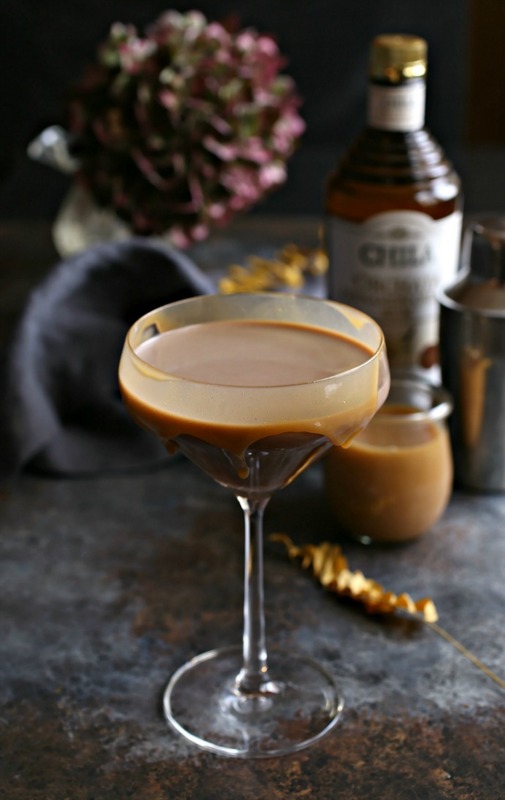 To be sure the drink wasn't overly sweet, I used unsweetened cocoa powder and added a shot of strong coffee flavored liqueur and some plain white rum. The "house" cocktail is always a big hit with my guests and we've had more than one occasion where we had to quickly whip up another pitcher. I strongly suspect this will be one of those times. Cheers! 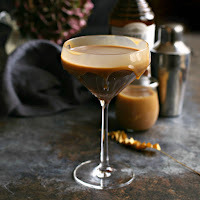 Place a tablespoon or so of caramel sauce in a shallow dish and run the rim of a cocktail glass through it. Refrigerate or freeze for a few minutes to set. 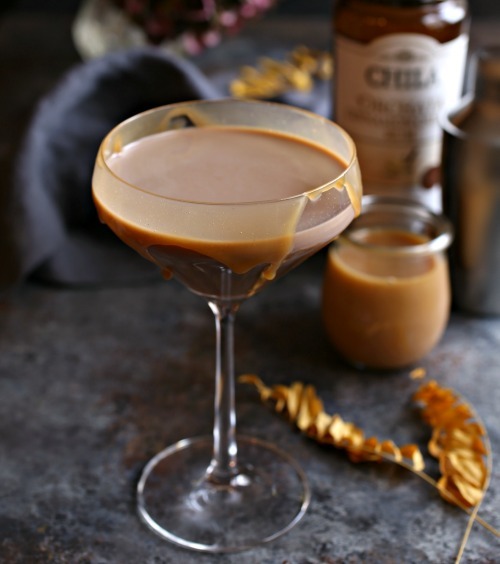 Add the Chila 'Orchata rum, white rum, coffee liqueur, caramel liqueur, cocoa powder and milk to a cocktail shaker. Fill with ice and shake well. Pour into the prepared glass. 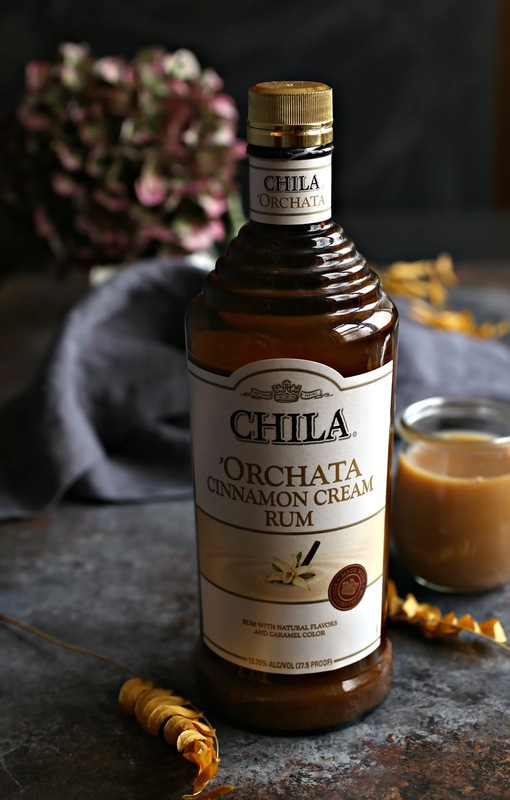 This recipe was sponsored by Chila 'Orchata. Thank you for supporting the products I love and use in my kitchen.